The Phifertex Cane Wicker Upholstery Collection carries the appearance of wicker furniture without the drawbacks of wood. While conventional wood-woven furniture can split and weaken over time, Phifer's wicker weave fabric is smooth and resilient. 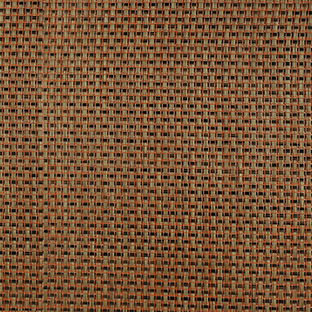 Made from vinyl-coated polyester yarns, the sling chair fabric is ideal for lawn and patio furniture. Use for custom-made upholstery projects or sling chair repair and replacement. Part of what helps make Phifertex one of the most reputable producers of sling fabric for outdoor furniture is their Microban® antimicrobial protection. The technology offers a lasting level of cleanliness that won't rinse or wear away for the lifespan of the fabric. It hinders the growth of stain and odor-causing bacteria, mold, and mildew. 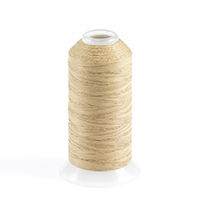 For typical maintenance, easily clean the outdoor sling fabric with standard household cleaners or diluted bleach. The woven mesh construction offers a forgivable, fade-resistant seat or cover. Create a natural retreat with Phifertex Cane Wicker in Coral Topaz EC1. Trademark: Phifertex® is a registered trademark of Phifer Inc. Microban® is a registered trademark of Microban Products Company. GREENGUARD® is a registered trademark of GREENGUARD Environmental Institute. Trivantage® is a registered trademark of Glen Raven, Inc.